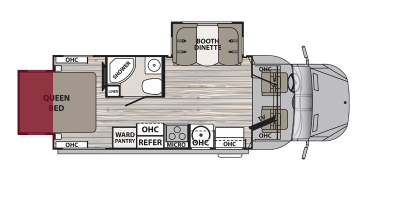 Motorhomes 2 Go carries a variety of motorhome RV floor plan types, including front living, front kitchen, outside kitchen, and the always-popular, family-friendly bunkhouse style. Each layout has its unique benefits and we're proud to sell all the styles that our customers have come to love. At our dealership you will find the most popular motorhome brands, like the Alante, FR3, Berkshire, Georgetown, Sunseeker, and more. Our selection of New and Pre-owned motorhomes is huge, and we also offer a Custom Build option if you'd like to order a motorhome specific to your needs. 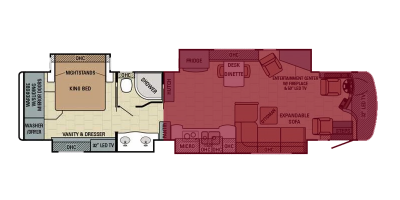 Search our large inventory of RV floor plans to determine which layout works for your lifestyle. 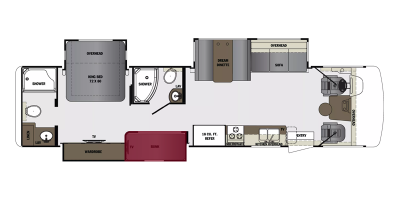 From the spacious and versatile bunkhouse models that accommodate active camping families to front living RVs that are easy and comfortable to live in, you're sure to find the right motorhome for you. Check them out!